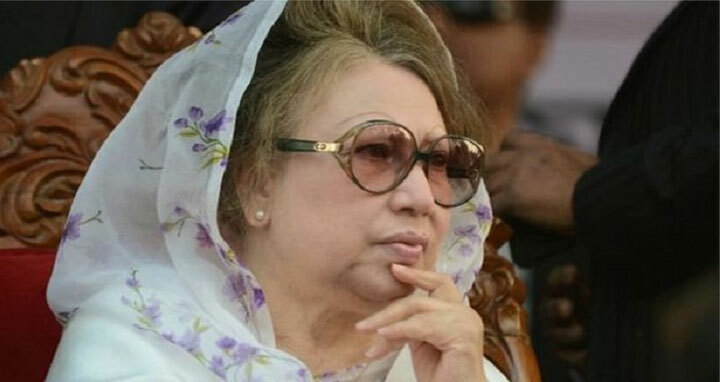 Dhaka, 22 Feb, Abnews: BNP Chairperson Khaleda Zia is unlikely to get bail in the Zia Orphanage Trust graft case before Sunday as the High Court has deferred the hearing on a petition filed by her seeking bail in the case. The court, however, accepted for hearing another petition of the BNP chief filed challenging the trial court verdict sentencing her to five years’ imprisonment in the case and asked the lower court to submit all the documents relating to the judgment before it within 15 days. Barrister Nowshad Jamir and Barrister Kaiser Kamal, on behalf of the BNP chief, submitted the 880-page bail petition in the morning showing 31 grounds for granting her bail. The HC bench of Justice M Enayetur Rahim and Justice Shahidul Karim passed the orders after hearing two petitions on Thursday. Earlier on Tuesday, lawyers of the BNP chairperson filed an appeal with the High Court challenging her sentence in the graft case. The court fixed Thursday for hearing it.